I had finally reached Olympic games overdose. I enjoyed watching the Olympics, but in British Columbia, Olympics coverage was everywhere. Every radio station, television network, newspaper, and conversation had something about what was happening and I couldn’t get away from it. However, now they are over and I expect many (ok, I guess I’m included in this) might be going through some sort of withdrawal. Well, for those who enjoyed watching and applauding athletes at their best I found a great way to get out of that withdrawal, however, they just need to be willing to get up off the couch and leave the comfort of their air-conditioned home. 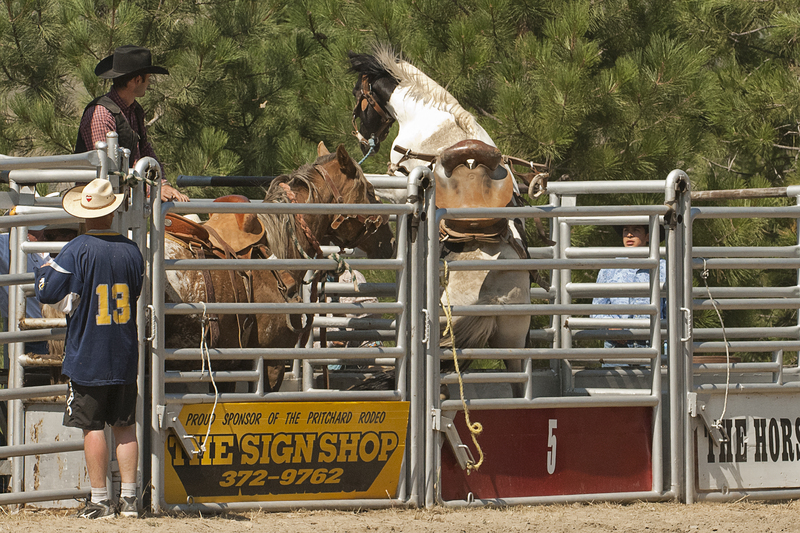 Happening right now all over North America there is that time-honored tradition of the western Rodeo. Each year I look forward to the annual Prichard Rodeo. 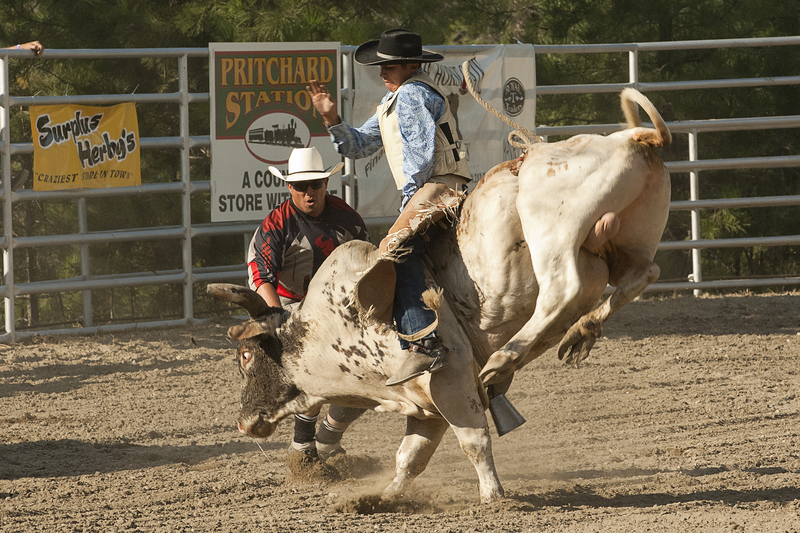 There are others all over BC that are worth attending, but I’m lucky because, “just down the road apiece” from my country home is the Pritchard Rodeo grounds. As I strolled down the dirt lane to the bleachers, concessions, and rodeo arena, I looked around and could see some of my neighbors lounging in the fenced off beer garden, and others with their children waiting in the shaded bleachers. Then, of course, I checked out the photographers standing at the railing readying their equipment. The first friendly face was local news photojournalist Hugo Yuen; we exchanged greetings, talked a bit before he left to get some of the participant names. He had a list to cover for his paper, so he was shooting fast and leaving. I wandered on, watching photographers positioning themselves along the railing, I wanted to see what cameras they were using, and waved at the arena manager, Don Swift, as he readied participants and turned to see professional rodeo photographer Bernie Hudyma striding towards me. I knew I would see him there. He’s a good photographer and I always like to hear what he has to say. I’m sure many of the rodeo participants were also glad to see him arena side because of the pictures he will have waiting for them. 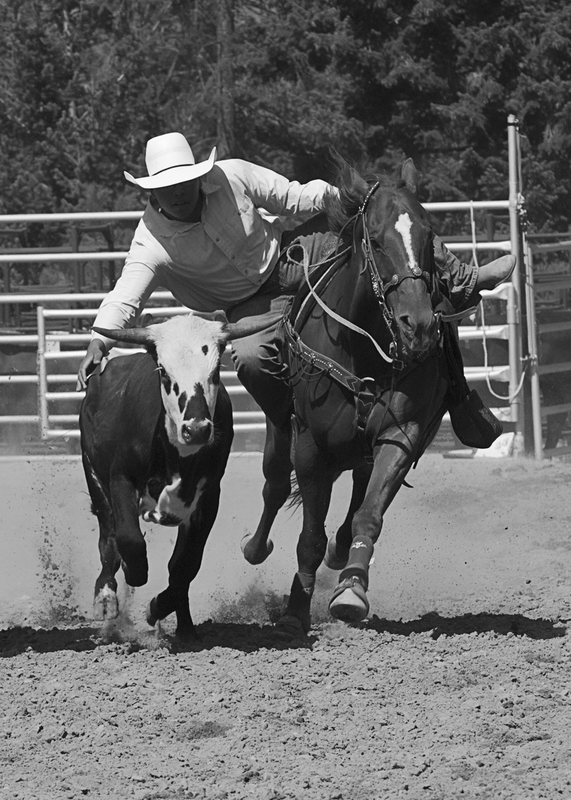 For those that haven’t yet photographed a rodeo, I’ll begin with the words, “Grab your hat and camera and do it!” You will have fun and get enjoyable pictures to share with friends and relatives. Here one can see drama, explosive action, anticipation, heartbreak, defeat, excitement, athletic prowess, both male and female physical excellence, teamwork, sportsmanship and, of course, triumph. Then there isn’t, in my opinion, anything much better than attending a rodeo. 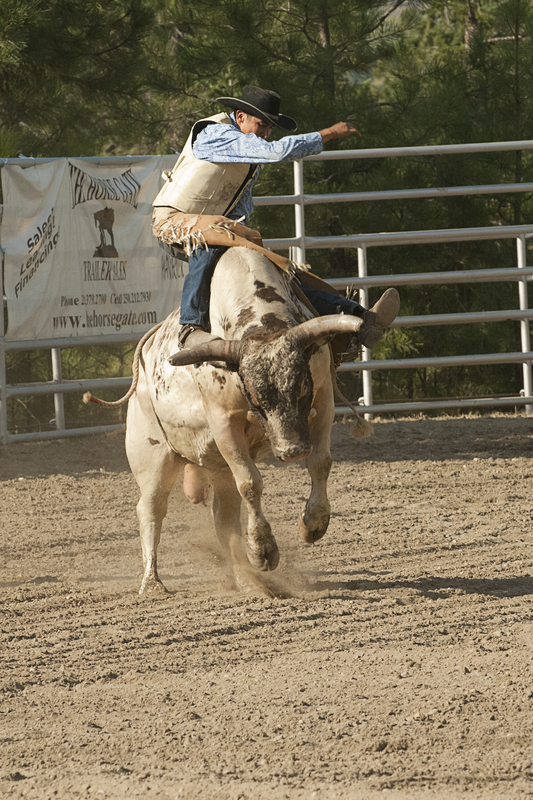 And for those of us that are dedicated photographers, the action of a rodeo is the perfect way to spend the day. My advice for first-timers is to get a DSLR. 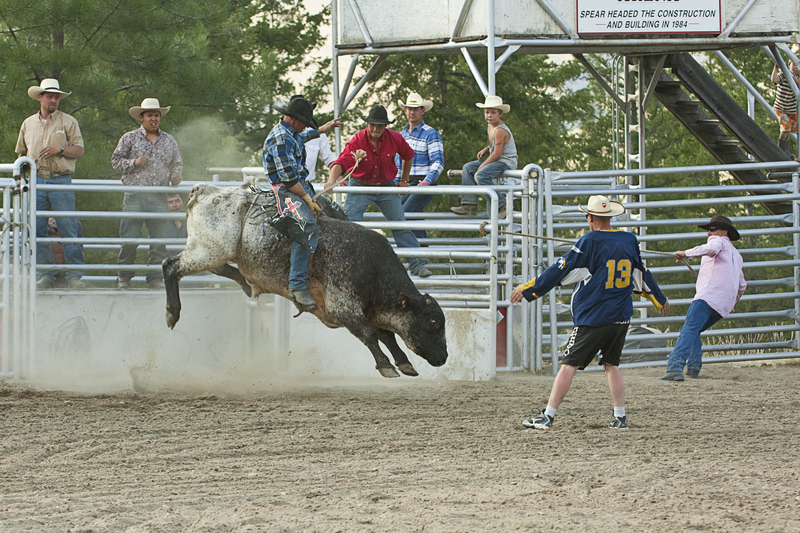 Little point and shoot cameras are great for taking pictures of family groups, and subjects moving slowly in one direction, but you won’t find much of that at the rodeo. When you shoot with the DSLR take the camera off the “P” mode and select “A”, or “S” mode if you own a Nikon, or on a Canon select AV or TV. Aperture priority means the photographer selects the aperture and the camera chooses the shutter speed. In shutter priority, it is the other way around, the photographer selects the shutter speed and the camera controls the aperture. Fast moving, quick changing, rodeo subjects jump into the sky, quickly increase or close the distance from where the action began and, of course, constantly change the exposure by bouncing in and out of bright sun and deep shade. While following the constantly changing scenarios it all happens very fast, and all one really needs is to control one part of the exposure equation. Whether that is the shutter or the aperture really depends on what is important. 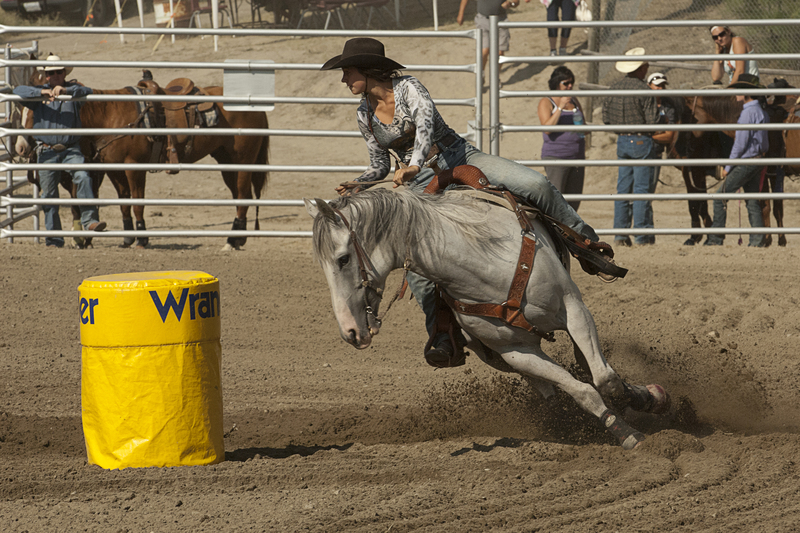 For example, when I am photographing the directional motion of horse racing or drag racing I prefer shutter priority. When at the rodeo I want more depth of field. That’s the field of focus in front of and behind my subject. Those horses and bulls move fast and I don’t want one moving out of my area of sharpness before I can refocus. I suggest a zoom lens that goes to at least 200mm. 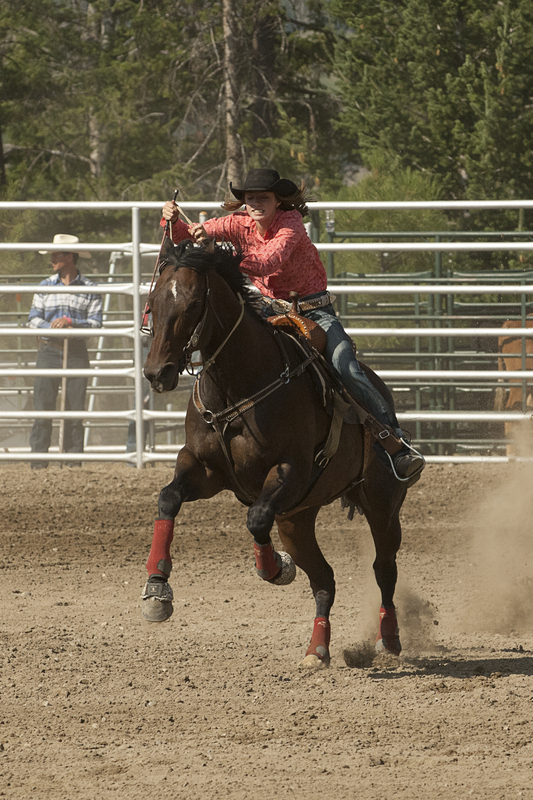 Most modern lenses focus fast enough, following the action, and setting the focus takes a bit of practice, but there is lots of time to experiment at a rodeo, so just shoot and shoot and shoot. 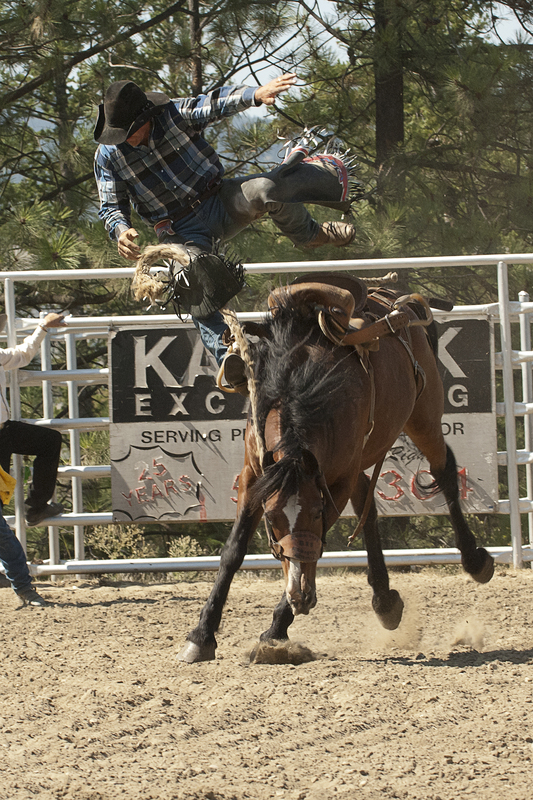 As I wrote, if you haven’t yet photographed a rodeo, grab your hat and camera and do it! 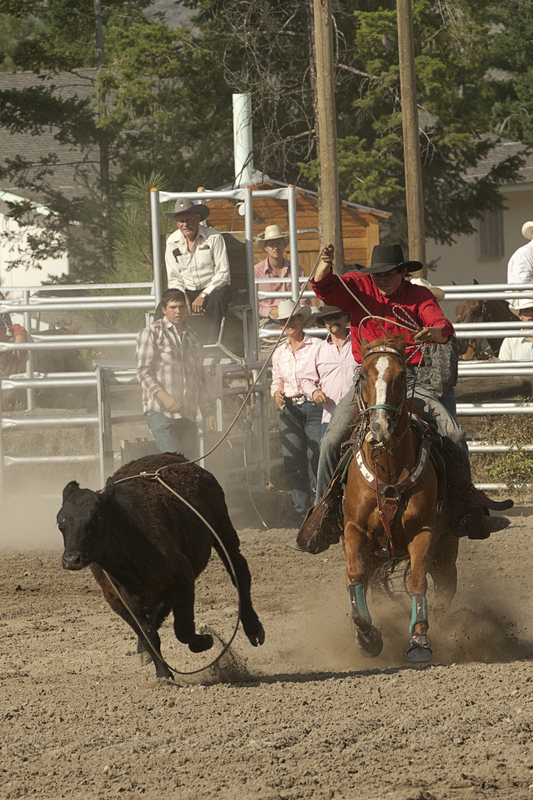 Find a rodeo near your home and have fun. 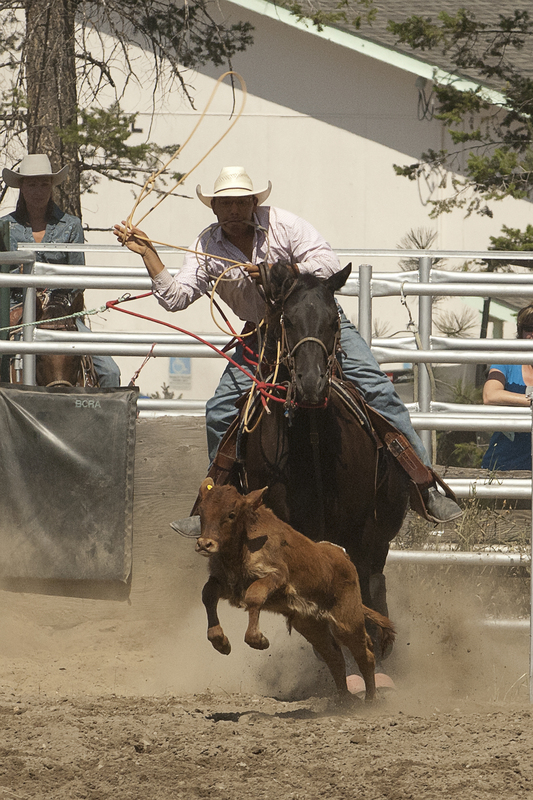 This entry was posted in Photography and tagged anticipation, Aperture priority, athletic prowess, Bernie Hudyma, british columbia, defeat, depth of field, Don Swift, drama, DSLR, excitement, explosive action, heartbreak, Hugo Yuen, photography, physical excellence, Prichard Rodeo, rodeo arena, rodeo grounds, rodeo photographer, shutter priority, sportsmanship, teamwork, western Rodeo. Bookmark the permalink.